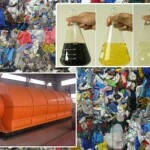 Before investing in a waste plastic to oil plant, we need to take the plastic to oil machine cost into account. In most The total cost of plastic to oil machine may be affected by these factors, such as equipment prices, shipping and installation costs, operating and maintenance costs, raw materials and site costs, etc. So how to reduce the plastic to oil machine cost? If you can search for a professional plastic pyrolysis plants manufacturer, then to a large extent, you can reduce some costs. 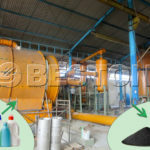 As an industry leading manufacturer, we, Beston Machinery, have been committed to research and develop and cooperate to bring the most advanced waste plastic to oil pyrolysis technology, and at the same time, we develop the new products according to China and international markets’needs, creating the products which meet the market demand. 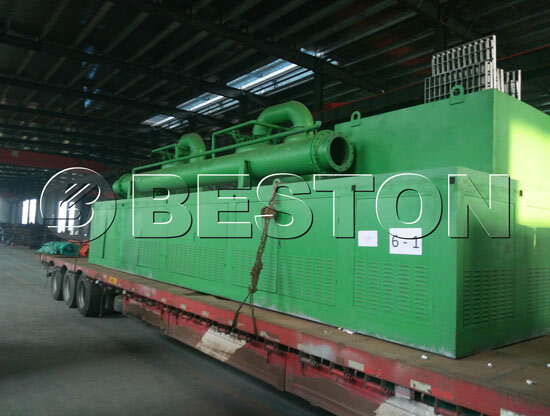 Compared with other companies, Beston can provide you the plastic to oil machine with low cost and high quality. This machine has rapid, continuous and canned feeding and tapping system and the efficiency is more than three times to the traditional intermittent operation plant. The matching pressure release device is capable of increasing the value added of oil product to a large degree through deeply processing the oil product. 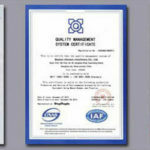 Manufacturing the whole set of device should be carried out in an environment of no smoking and no smell, thus the device having excellent safety and environmental protection property. The split treater of the key equipment for this achievement has a horizontal integrating revolving structure, and comparing this structure with the bygone old equipment, it is found the fuel for the new equipment is fuel oil, and the residue generated in the burning course of fuel oil can fully reach to the exhaust discharge standards of all countries in the world, thus it being able to be used in any countries. 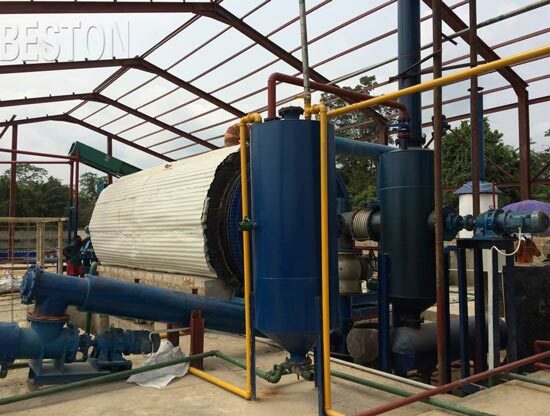 High effective fuel gas heating system: when the temperature of the heated gas reaches to 150℃, a large amount of gases–methane to butane—that cannot be fluidified in common temperature and pressure will be generated. And these gases can generate a large amount of heating energy after being burned fully in our specially designed gas burner, thus saving energy to a large degree. The latest technology and the whole split and oil product collecting system developed by the company can be used for this device, and the produced fuel oil has some advantages such as high quality and high oil output rate. 1 Fuel oil • can be sold directly. • Reprocessed into diesel and gasoline by waste oil refining equipment. • can be used as fuel. 2 Carbon black • can be sold directly. • Reprocessed into high quality carbon by the carbon black grinding equipment. • make carbon brick by briquetting equipment. 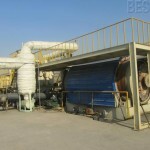 Beston plastic to oil plants mainly include the following types: BLJ-6, BLJ-10, BLL-16, BLL-20. And their daily handling capacity rang from 6 tons to 50 tons. Both BLJ-06 and BLJ-10 are batch operating system; Only BLJ-16 is semi-continuous system; While BLL-20 is fully continuous systems. For those customers who want to buy our plastic to oil machines, we will provide high-quality products, reasonable prices and excellent after-sales services. 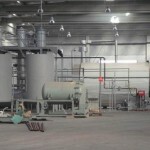 And at the same time, we will also help you to budget the plastic to oil machine cost. If you want to know more about the plastic to oil machine cost, please contact us online. 5. For each set of machine, one technician will be sent to guide your installation, test the machine and train your workers. Besides, we will provide one month’s service for free.